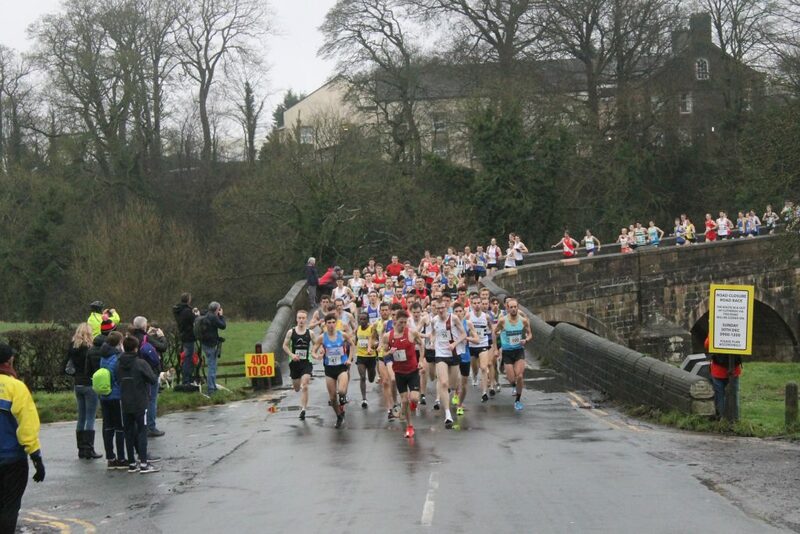 What a fabulous day at this years Ribble Valley 10k which also hosted, once again, the Northern 10k Road Racing Championships. 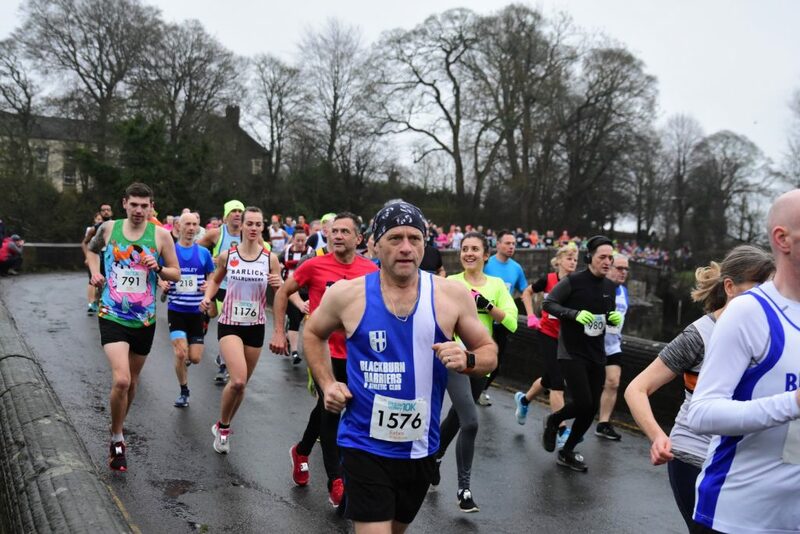 The Race was sold out with a month to go and included some top athletes, amongst them International runners such as Marc Scott, Jonny Mellor, Patrick Dever, Beth Potter, Jess Judd and Gemma Steele. 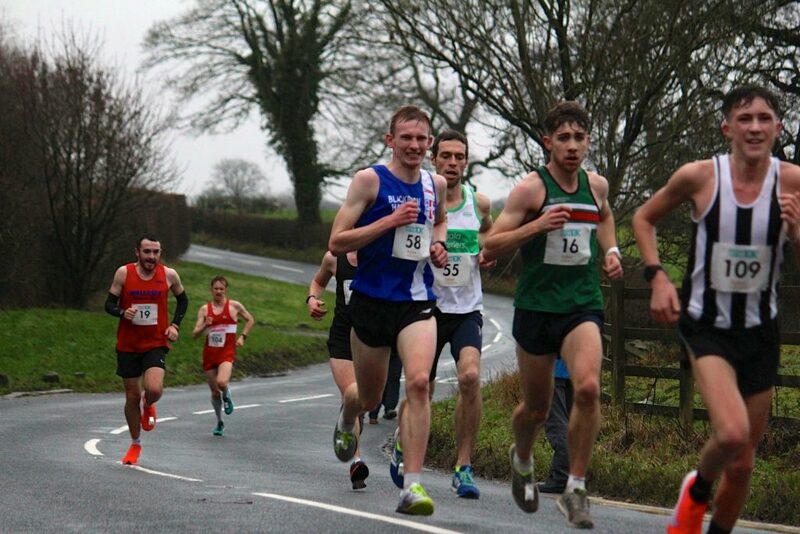 Outstanding performances by Marc Scott who won the race in the 5th fastest 10k posted time nationally of 28.58 and a new Race Record – just one second outside his personal best of 28.57 which is the 4th fastest time in the country in 2018. 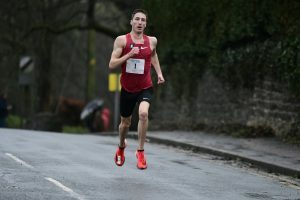 In second place came Jonny Mellor who was the existing Race Record holder (29.10 run in 2011) clocking a cracking time of 29.19 just nine seconds outside the time he recorded in 2011. 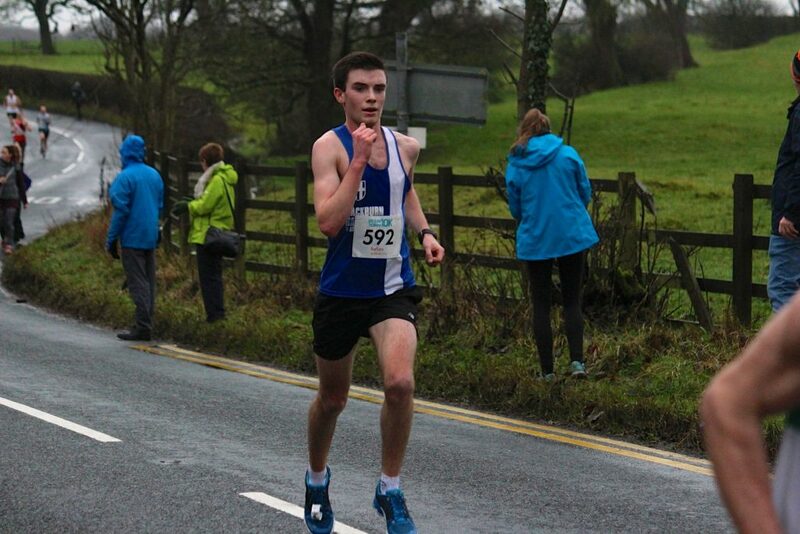 In 3rd place there was a new PB for Patrick Dever who recently finished 5th in the European U23 Cross Country Championships of 29.24 – half a minute quicker than his previous best. 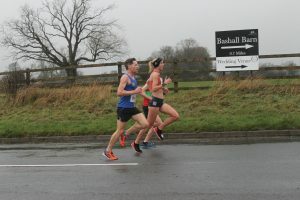 Beth Potter who came 2nd to Laura Weightman in the 2017 Race, had a brilliant run to win the Women’s Race in a new Race Record time of 32.07 – the previous one of 32.20 set by Helen Clitheroe in 2005. 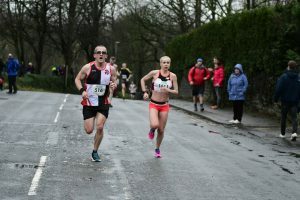 Beth’s time, which like Marc Scott, earned her a £200 win bonus on top of the £200 first prize, improved her personal best by a massive 53 seconds. 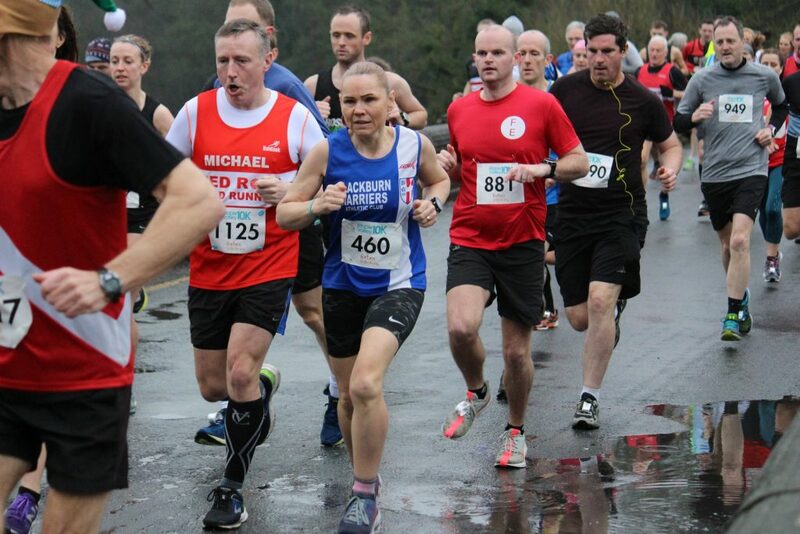 Her time of 32.07 also saw her move to 2nd place in the national ranking behind Elish McColgan. 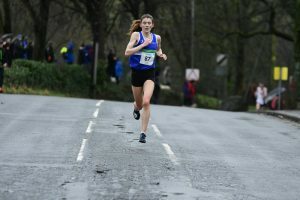 In second position was Jess Judd of Blackburn Harriers who was making her debut over this distance on the Road – and what a run she had clocking 32.42 to move her into 5th place in the National Rankings. 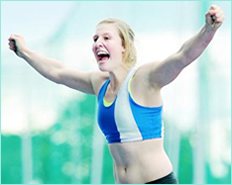 In 3rd place came another International – Gemma Steele who clocked 33.53. 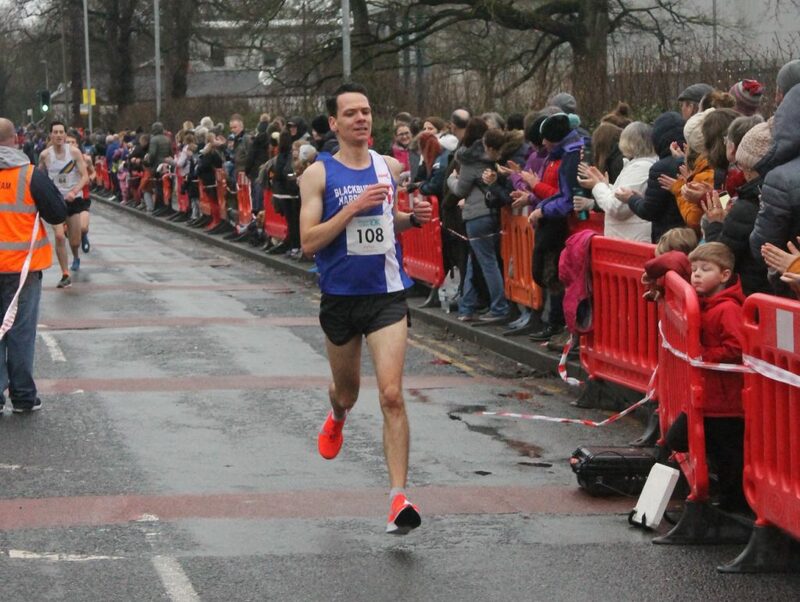 Behind Marc Scott’s 28.58 came eight other athletes posting sub 30 minutes runs and 37 in total running uner 32 minutes with ten women athletes achieving sub 36 minute times. 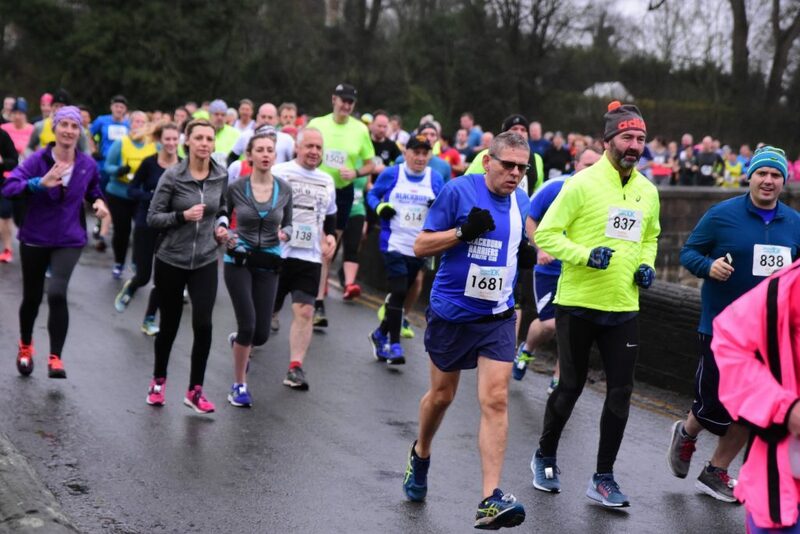 Great credit to the Club as they still managed to turn out 31 athletes to compete in the Race alongside 50 volunteers who helped to put the Race together and run it on the day. 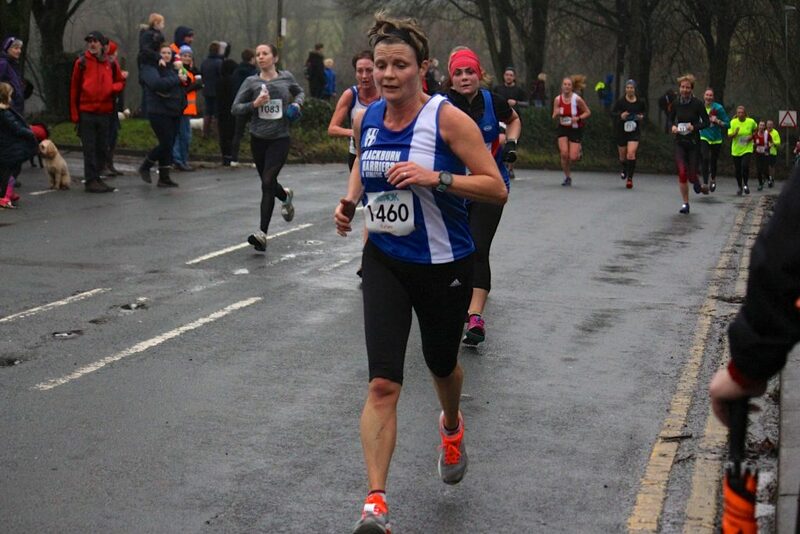 Of the 31 athletes running for the Harriers – twelve of them managed to set new personal bests – won the Women’s Team 1st Prize in the Open race (Jess Judd – Katie Buckingham – Annabel Ralph) with Jess Judd winning the Women’s Northern Gold Medal as well as leading the Women to a Gold Medal in the Northern Women’s Team. 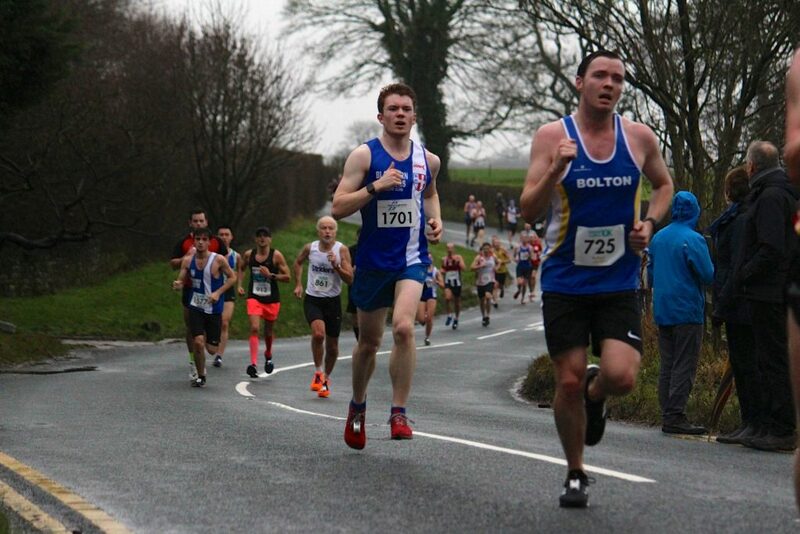 Blackburn Harriers athletes recorded a whole number of new personal bests in the Race which saw Rob Warner (13th) as first home for the Club in a time of 30.42 (18 seconds faster than his previous best). 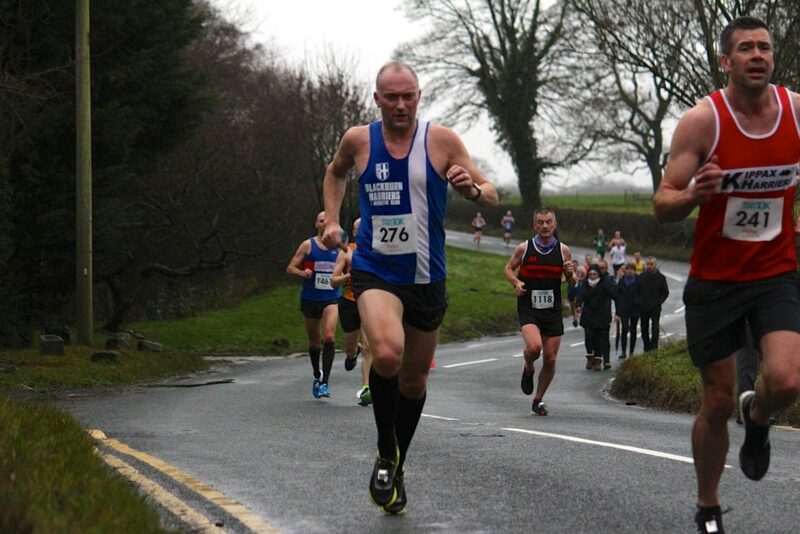 Tim Raynes was just one place further back as he reduced his personal best by 27 seconds clocking 30.46. 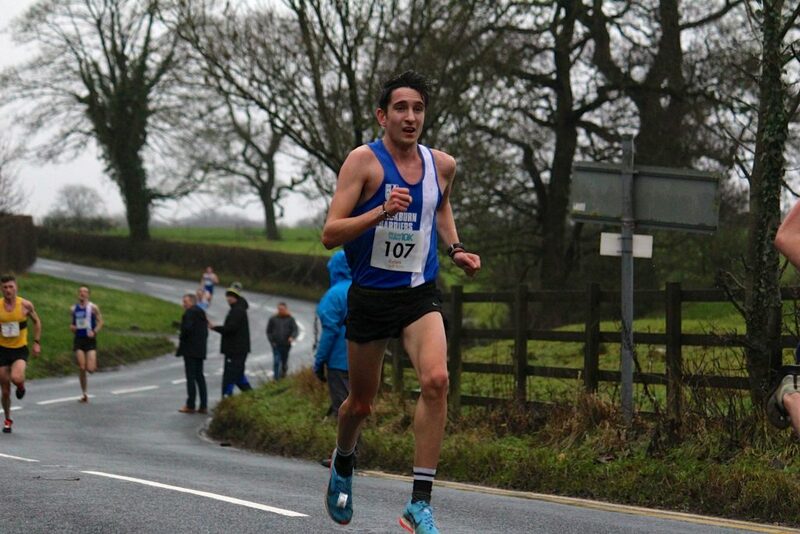 In 34th spot came U23 Jack Hindle – who has achieved notable success in triathlon this year – in 34th place with a time of 31.49 which was a massive new PB by 41 seconds. 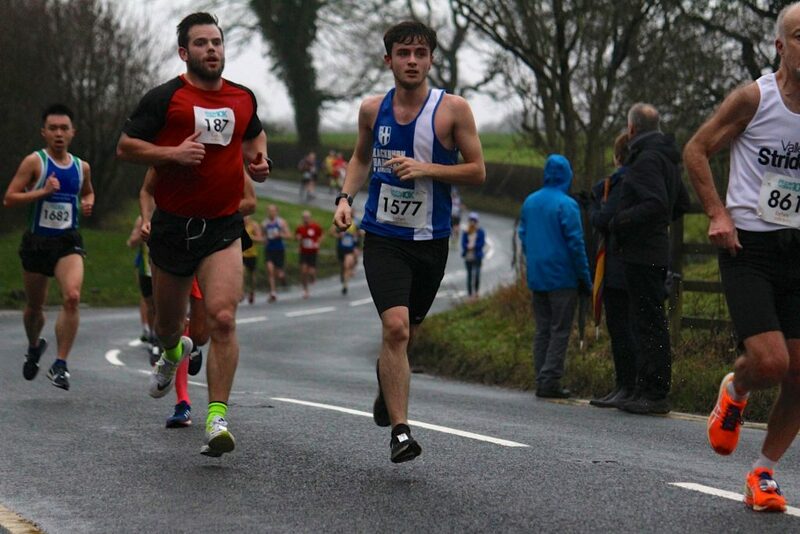 In 44th place came Karl Billington who ran a seasons best of 32.34 with Jess Judd breathing down his neck in 47th place (32.42). 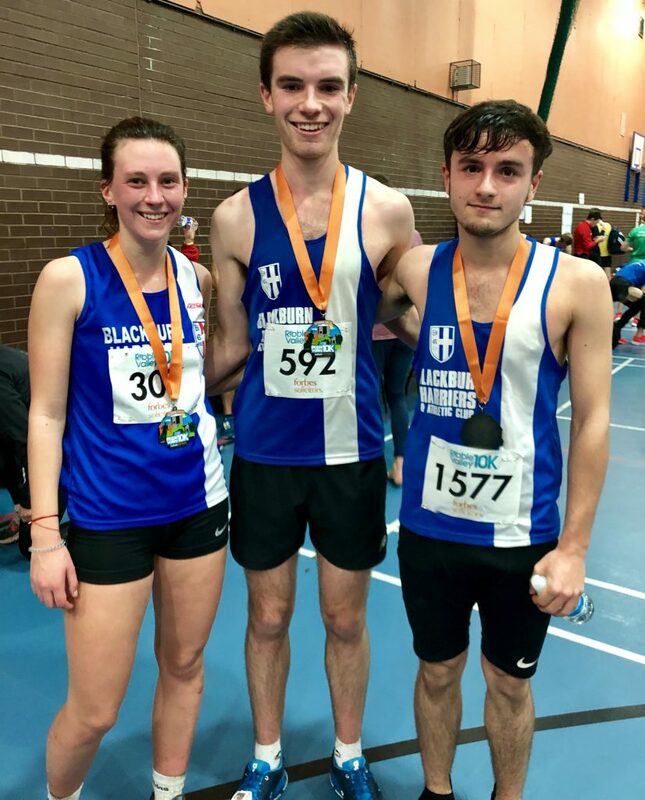 More new PB’s for the Harriers and the latest one coming from Josh Holgate who chopped a whopping one minute and 12 seconds off his previous best to set a new PB of 32.54. 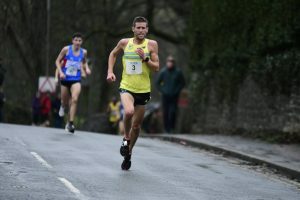 V40 Chris Davies was the next Harrier home setting a new PB as he clocked 33.08 in 59th position – a new best time by 24 seconds. 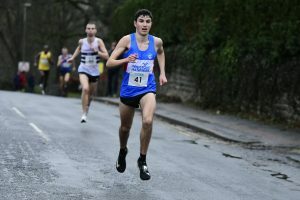 Jacob Watson placed 62nd in a time of 33.28 and he was followed home by another debutant over the distance – U20 Tom Marchant who had an impressive debut clocking 33.40. 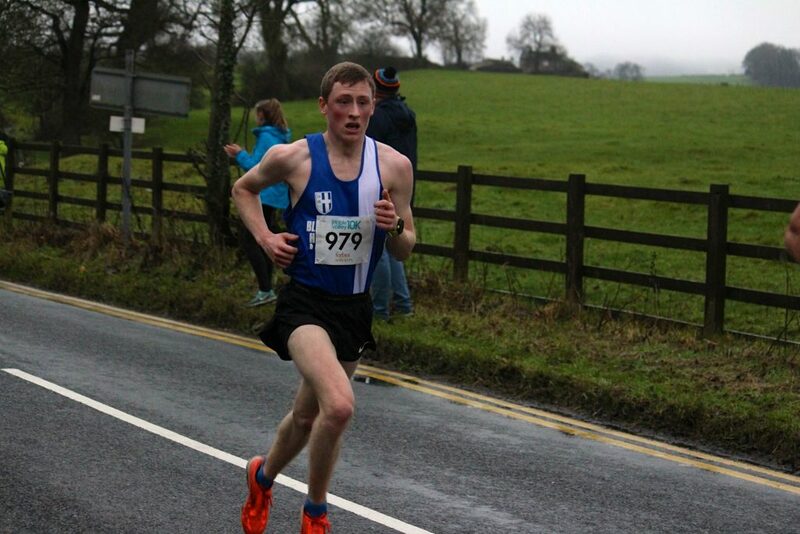 U23 Calum Holmes cut nearly a minute off his previous best time as he set a new PB with a time of 34.15. 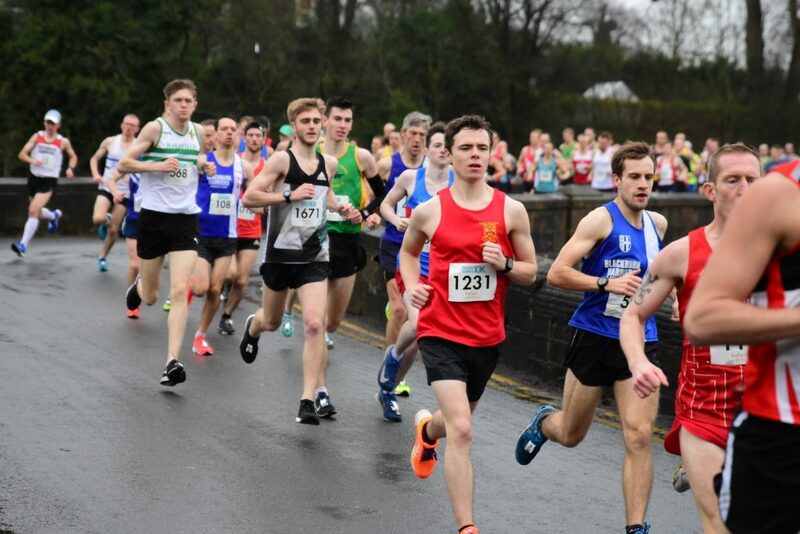 Another impressive run by U20 Joe Gebbie saw him post a new PB by a minute and 23 seconds in 102nd place with Paul Bradshaw recording a seasons best time of 35.25 in 119th. 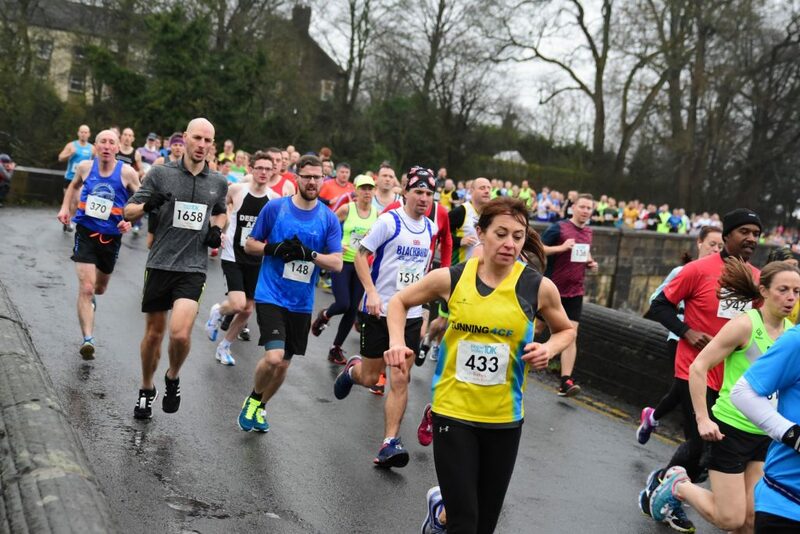 Annabel Ralph in her first 10k race since 2016 set a new PB by over a minute as she ran 37.18 in 179th place. 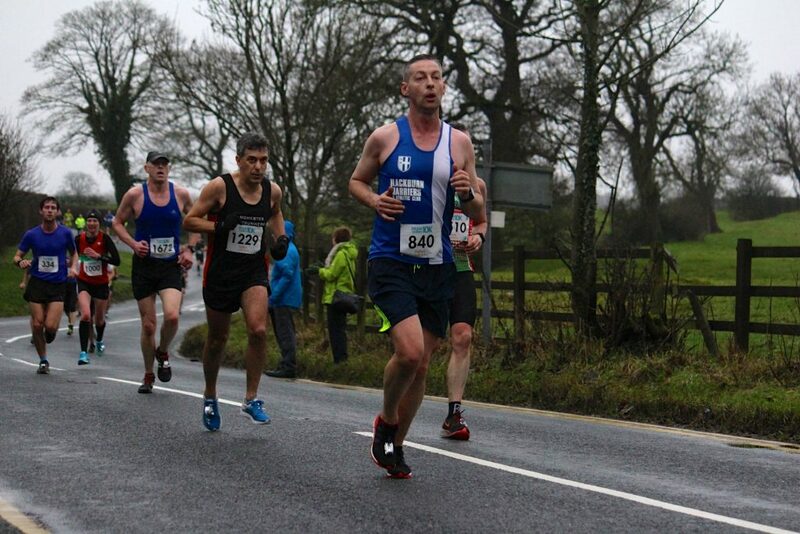 V45 Paul Guinan ran a time of 37.36 (191st) with V50 Jonathan Bridge in 227th in a seasons best time of 38.45. 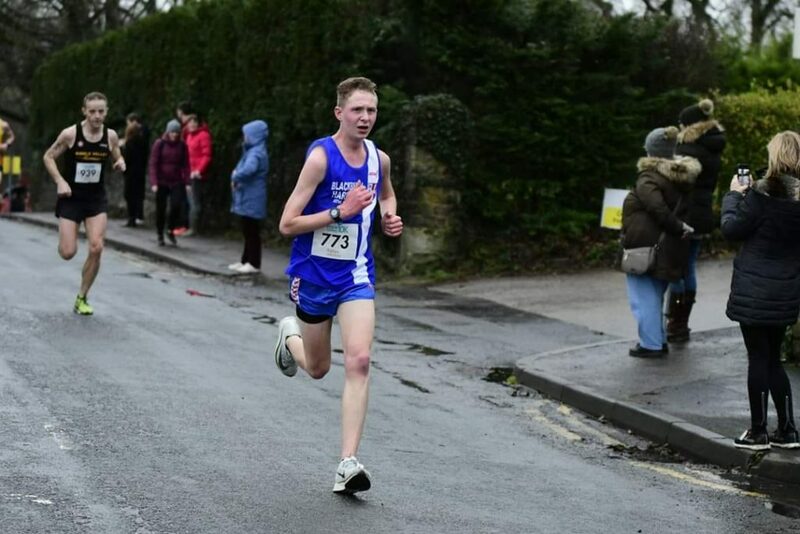 U17 Harry Wilkin was making his debut over 10k in a road race and clocked 39.30 in 246th spot with John Foster also making his debut over the distance, being given the same time in 251st. 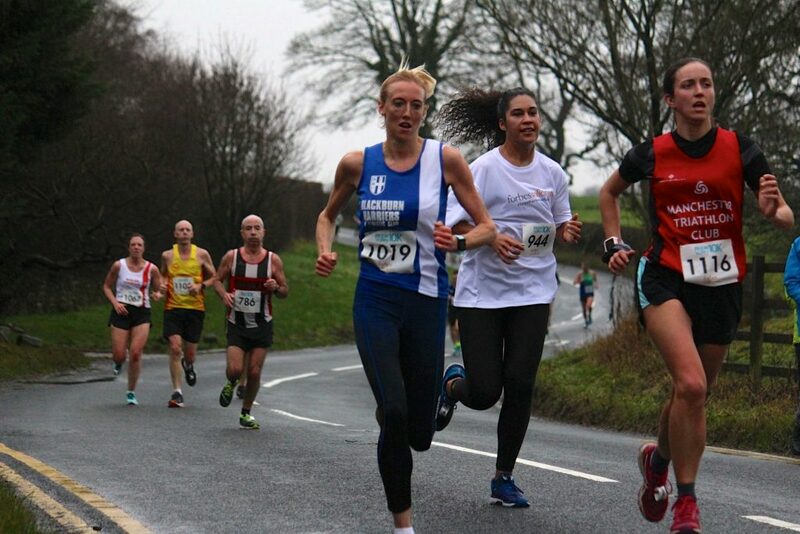 Katie Buckingham set a new PB by fifteen seconds as she recorded a time of 39.27 in 261st. 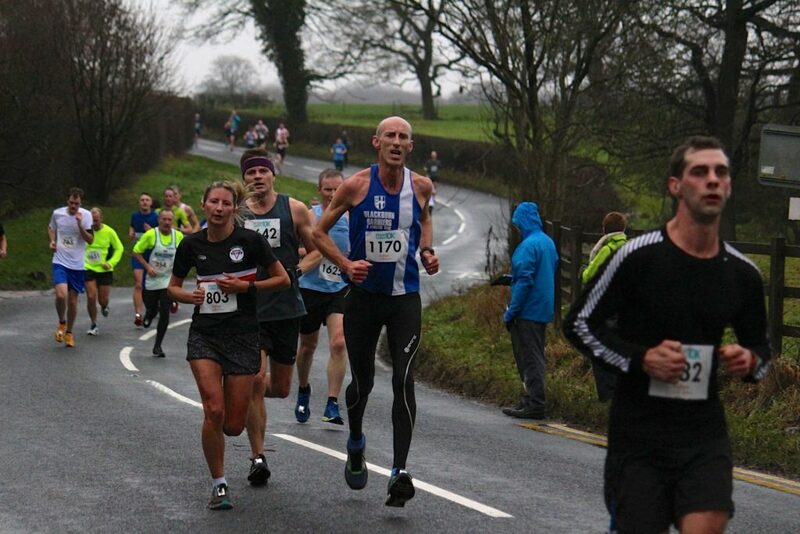 Keeping the new PB’s going was V40 Paul Jeffries as he reduced his best time for the distance by three quarters of a minute to post 40.53 in 301st place and he was followed home by V50 Gary Pearse in 325th position (41.27). Katie Buckingham (307) smiling far too much! 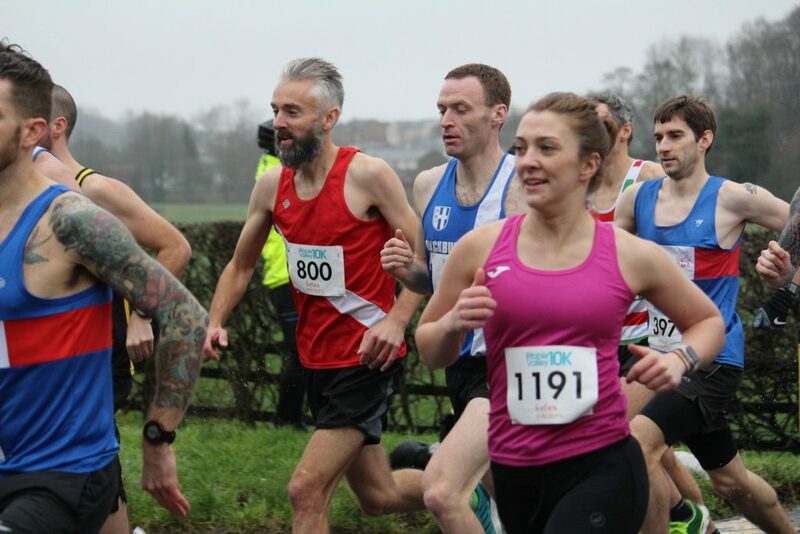 Good to see Sam McCreadie back racing after such a torrid time with injuries over the last three years as she clocked 41.30 (341st) with V45 Lindsay Davies in 442nd place recoding a big new PB by a minute and three quarters of 44.23 and she commented after the Race “Extremely happy with my PB today, knocked nearly 2 minutes off, great conditions and great race, I enjoyed it very much, one of my favourite 10k’s. 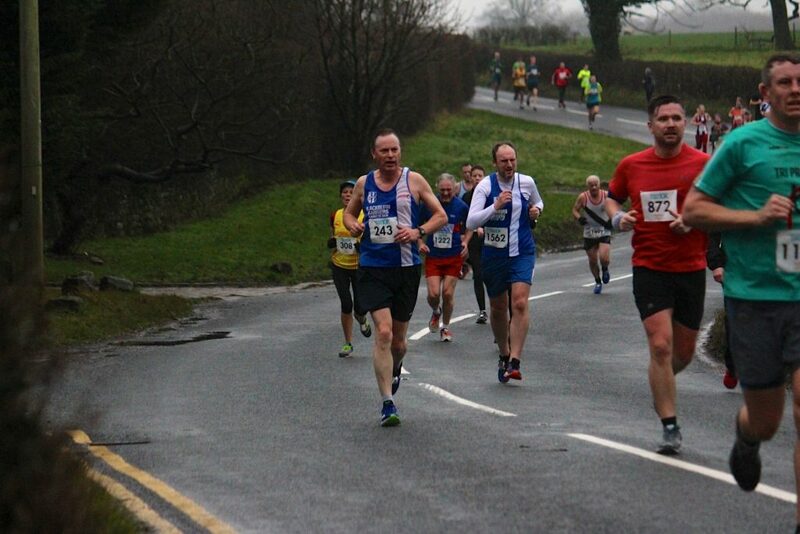 Felt fantastic the first 5 mile bit then the last mile I struggled a little bit but I knew I had put enough in to be able to ease off a little bit and still get a decent PB. 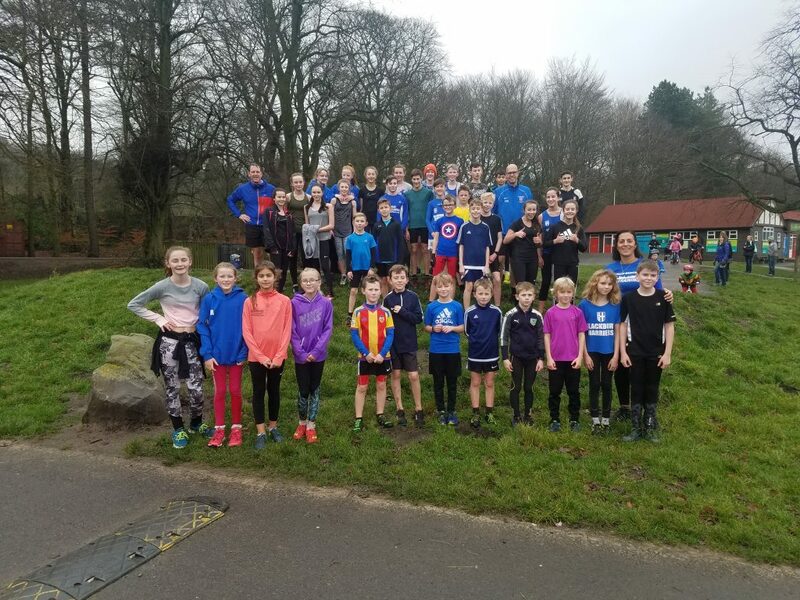 Well done to all Blackburn Harriers who all did very well.Thank you to all the marshalls and officials who make this race run very smoothly”. 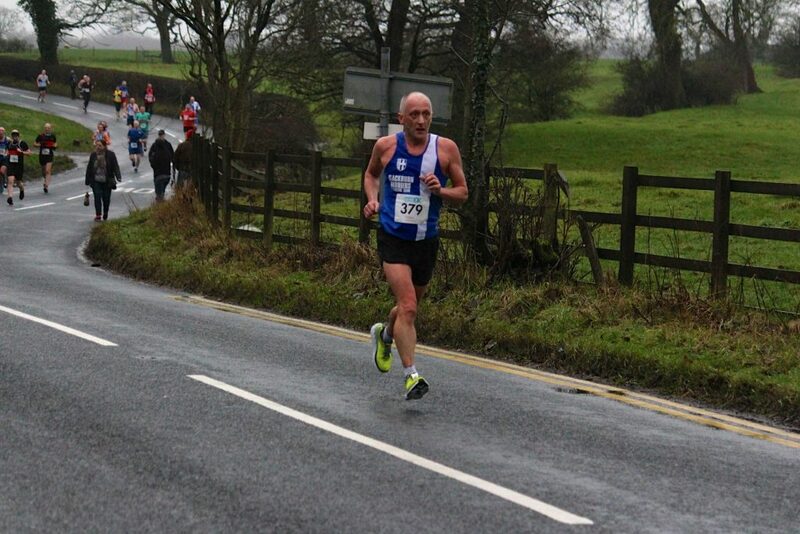 V50 Ian Clarkson missed a new personal best by just five seconds as he clocked a seasons best time of 44.47 (457th) and told the Club afterwards “first of all, many thanks to the team who make it happen especially the hi hiz crew, without this lot it there would be no RV10k, much appreciated. Got me a 44:47 this year, last year 45:04, very happy indeed. Perfect conditions on a lovely undulating course, somewhat different to my usual terrain of hills, peat bogs, and uneven ground!! 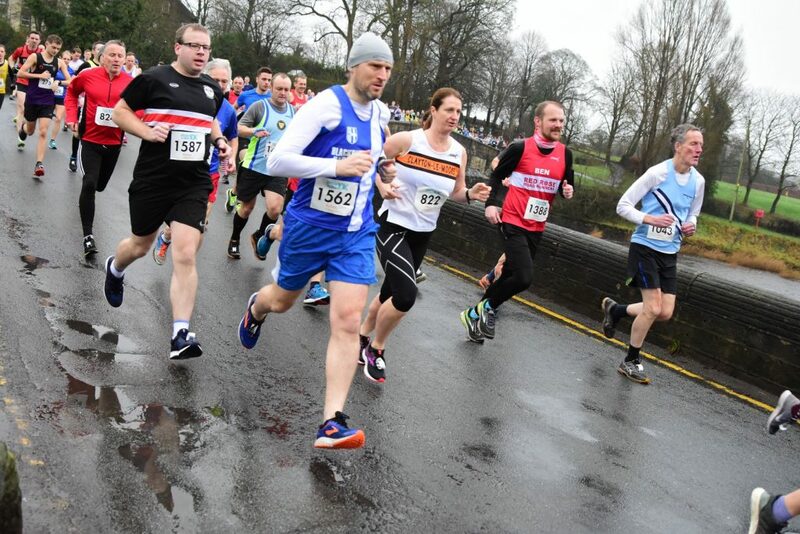 But a pleasure to take part and get under 45 minutes”. 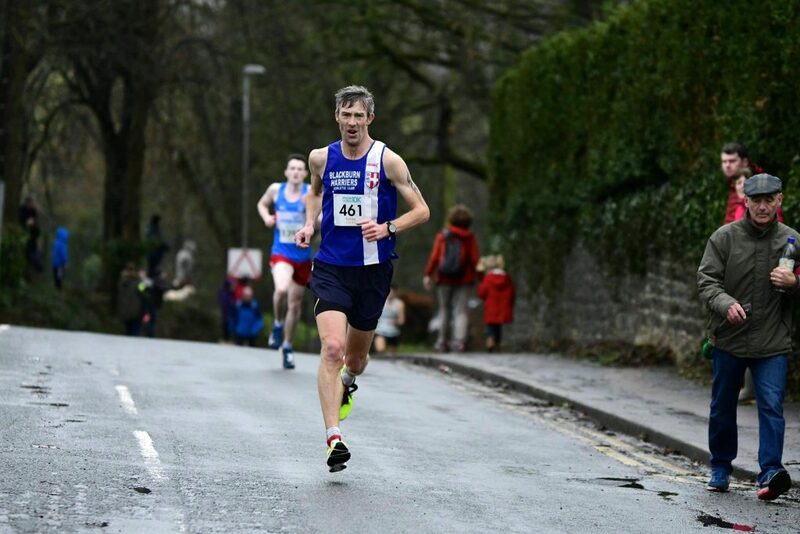 The biggest new PB of the day for the Harriers came for V40 Paul Whittaker who clocked 45.25 (474th) nearly five minutes quicker than his first ever 10k race in this his debut year for the Harriers. 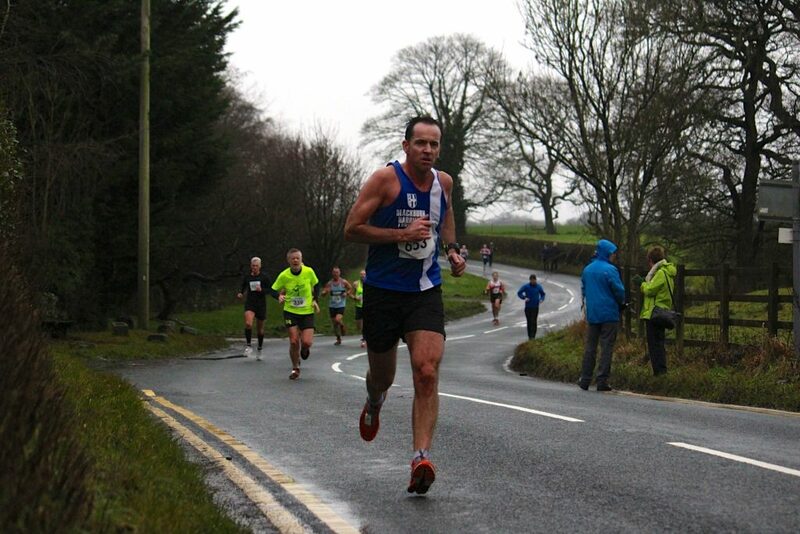 V60 Michael Blacklidge clocked 45.25 (478th) with V45 Julie Coy running a time of 46.38 in 533rd spot. 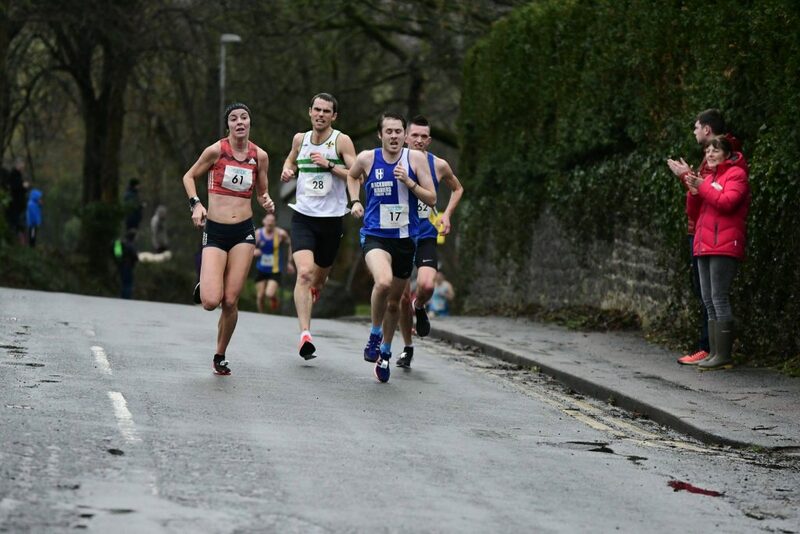 Next home for the Club came Becky Shorrock in a time of 47.48 (590th) with V50 Mark Wilkin just seconds shy of his personal best in 610th (48.14), Michelle Teare V45 clocking 50.17 in 726th and not far off her personal best time either, V50 Jan Buckingham in 888th place with a time of 54.13 and V55 David Morris 1020th position in a time of 57.33. 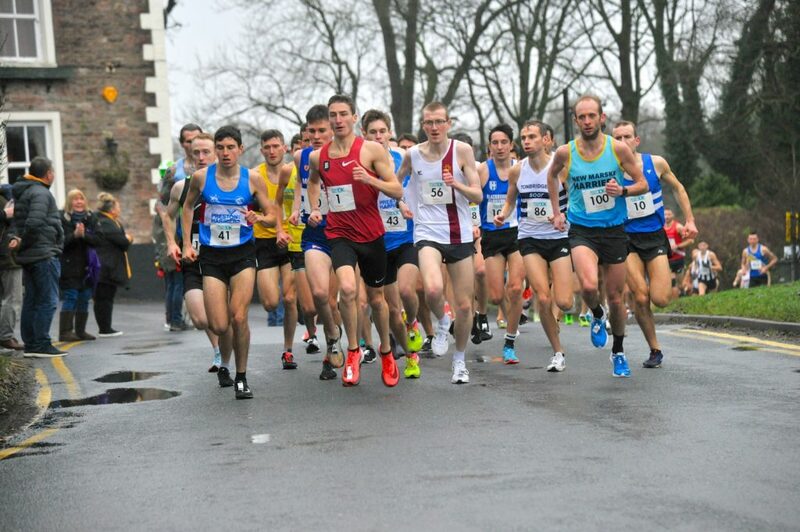 One hundred and ninety nine runners ran in this race won by U23 Max Wharton in a time of 20.16 from David Rigby in 2nd place (20.31. 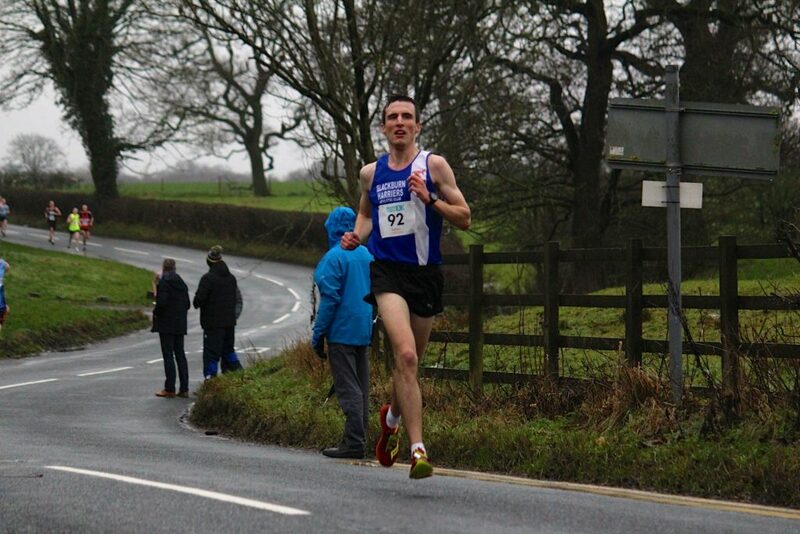 Blackburn Harrier Calum Holmes had a good run to place 5th, clocking 22.29 and 2nd U23 in the age categories. 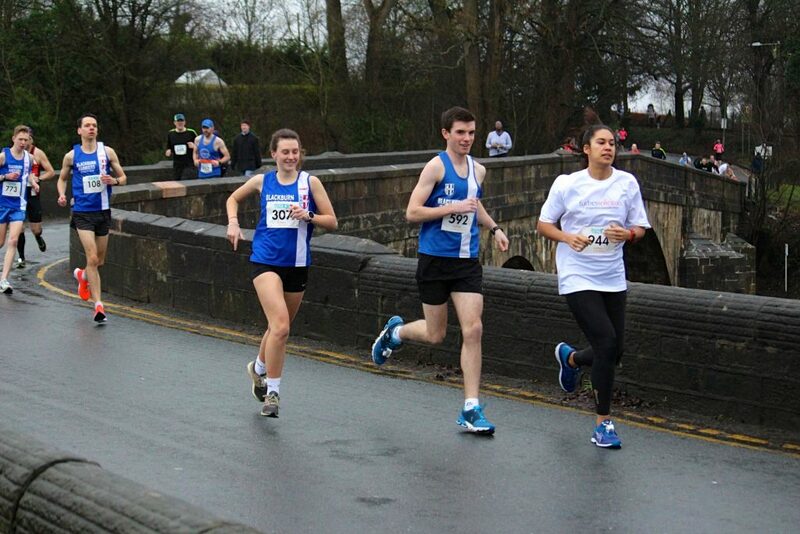 Rebecca Woodworth was also having a run in this race and finished in 82nd place with a very solid time of 33.56. 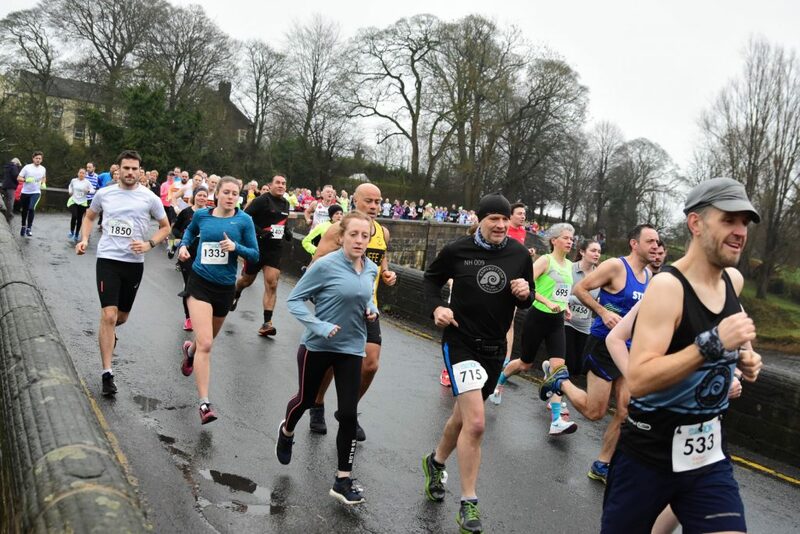 Rebecca Woodworth ran her second race in two days – after running the Burnley Christmas Cracker 4 miler on Christmas Eve, she was out again on Boxing day at the Worden Park 10k where she posted a time of 54.43 which was a massive new PB by nearly five minutes sincer her first ever race over 10k in October this year. 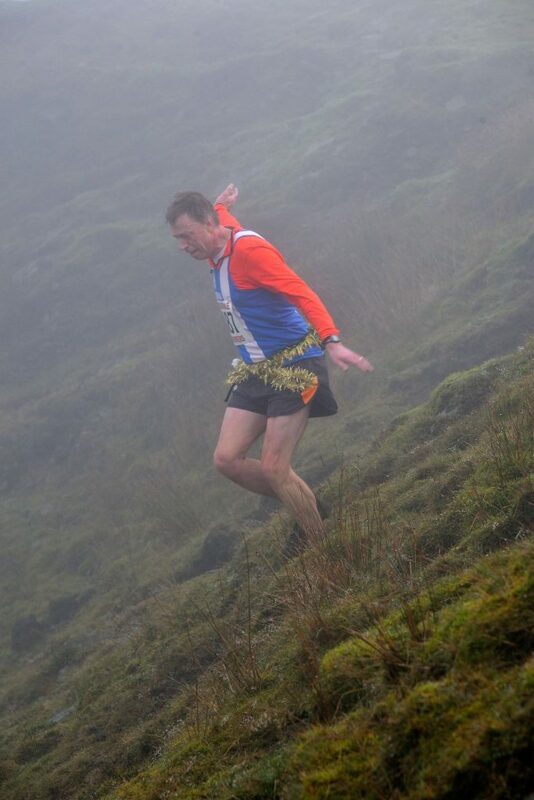 This very popular Boxing Day Fell Race organised by Steve Duxbury and Rossendale Harriers saw John Orrell competing as he usually does in this Race. John Orrell spoke tthe Club about the day, commenting “Whinberry Naze, Boxing Day. 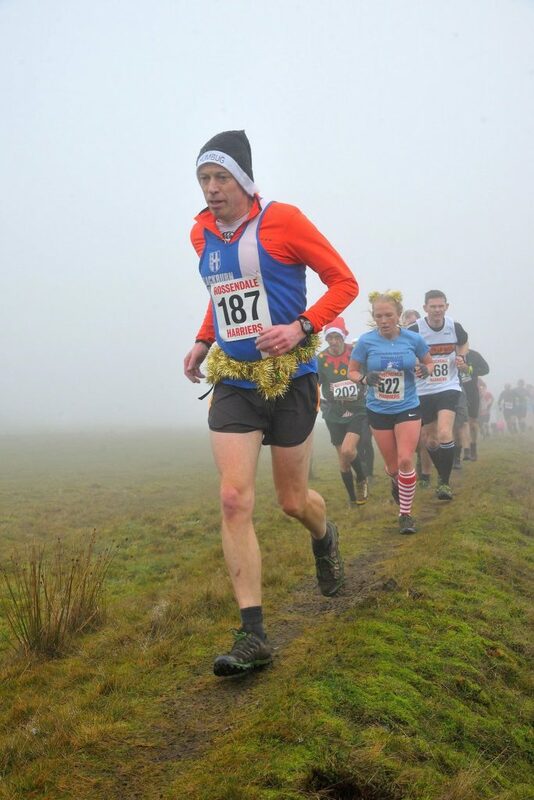 What has become a Christmas tradition for me is a trot over to Rossendale for the Whinberry Naze fell race on Boxing Day. 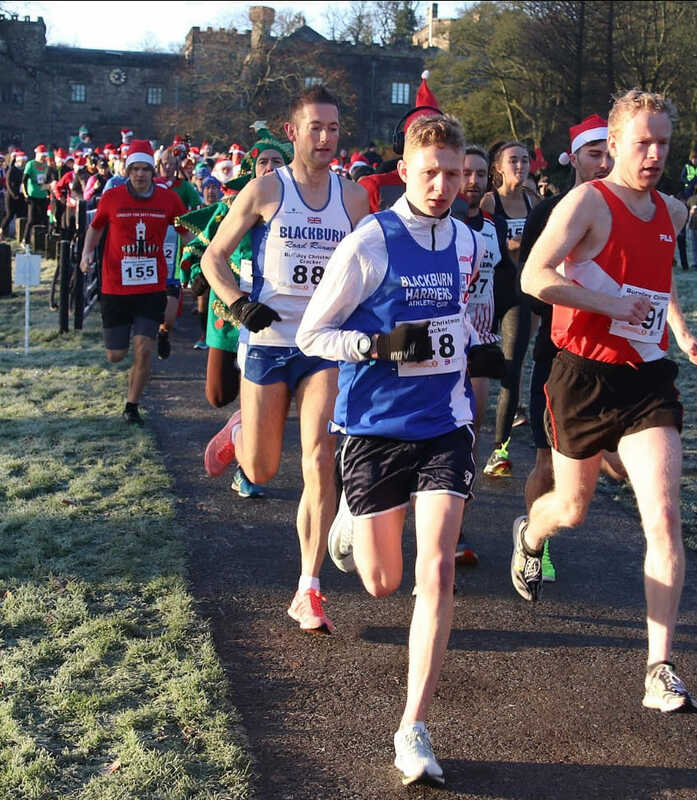 Not quite a turkey trot but definitely some festive fun. While most favour wearing their Christmas party outfits, I prefer to work off those extra mince pies with just a bit of tinsel. For me, I’m still racing, so it’s all about time. Head down, up into the mist, smarties from Santa at the trig, still in the mist, humbug hat off and back down as quick as I can. Tricky in places with the mud but crossed the line around a minute and a half quicker than last year. 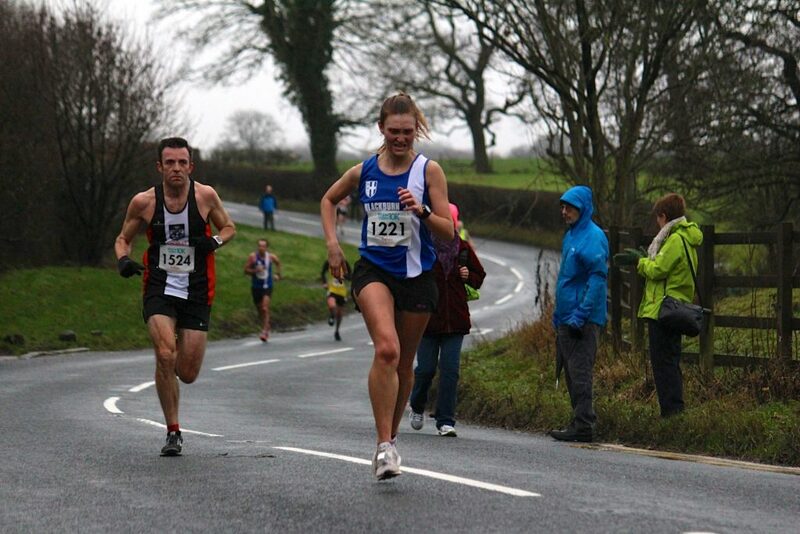 Great to see Lady Fell Harrier Helen enjoying Boxing Day too. Next up, hope to race Alistair or Johnny Brownlee at Auld Lang Syne, and then over to Kirkby Stephen for Nine Standards. Happy New Year. See you all there! PS. No results yet, but about 104th out of 200 in 35.33″.